The Energy Medicine Institute of Texas harnesses the power of your body’s energy to promote healing and optimal wellness. Utilizing the latest advancements in alternative medicine, we equip you with a personalized treatment plan, created after first identifying the root cause of your current ailments. Located in San Antonio, Texas, the Energy Medicine Institute of Texas is challenging the techniques and philosophies of traditional medicine. Rather than treating symptoms of your medical condition, we treat you as a whole – physically, mentally, emotionally and spiritually. Dr. Williams is a soft spoken, tireless, energetic, caring physician. He has an astute grasp of the big picture. Though he's only "29", he's been an Emergency Medicine Physician for over 33 years. 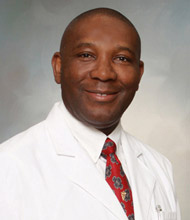 Dr. Williams considers The Wellness & Aesthetics Medical Center of San Antonio his life calling. Dr. Williams has a BA in Biology from Harvard University. He received his MD from Albert Einstein College of Medicine. He did two years of General Surgery Residency @ Allegheny General Hospital and then became a Flight Surgeon in the US Air Force for 3 years. Dr. Williams has extensive training in Lasers and Medical Spa procedures. He is a Fellow of the American Society for Laser Medicine and Surgery (ASLMS), a Diplomat & Fellow of the American Academy of Anti-Aging, Regenerative, & Functional Medicine (A4M), a Fellow of Stem Cells, SportsMedicine, Integrative Cancer Therapies, Peptide Therapy, and Sexual Health with the A4M, and a Member of the Anti-Aging Group (AAG) Advisory Board. Completed Physician Training and Certification in Age Management Medicine, jointly sponsored by The Cenegenics Education and Research Foundation (CERF) and the Foundation for Care Management (FCM). 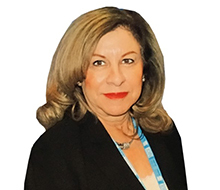 With over 38 years of experience in the medical field as a medical assistant and patient coordinator, Mary is also certified in both clinical skincare using physician grade peels and multi non-ablative laser procedures such as hair removal, photo-facial, and skin tightening. Mary is an asset to The Wellness & Aesthetics Medical Center as a medical assistant and as an office manager. She is fully capable of managing all aspects of The Wellness & Aesthetics Medical Center's administrative and medical duties.